Things A Computer Scientist Rarely Talks About. Center for the Study of Language, 2001. First edition of this collection of lectures. Octavo, original half cloth, illustrated. Inscribed by Donald Knuth on the title page. Fine in a fine dust jacket. How does a computer scientist understand infinity? What can probability theory teach us about free will? Can mathematical notions be used to enhance one's personal understanding of the Bible? Perhaps no one is more qualified to address these questions than Donald E. Knuth, whose massive contributions to computing have led others to nickname him "The Father of Computer Science"—and whose religious faith led him to understand a fascinating analysis of the Bible called the 3:16 project. 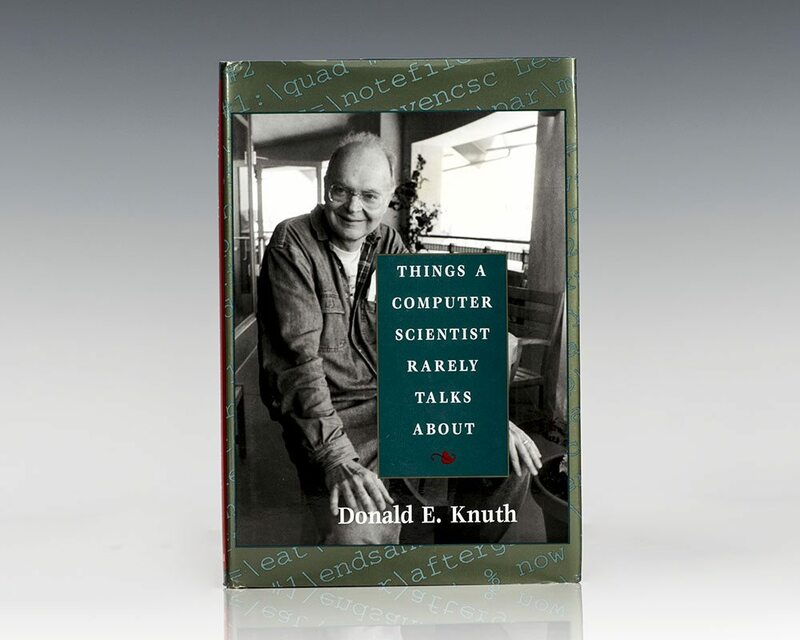 In this series of six spirited, informal lectures, Knuth explores the relationships between his vocation and his faith, revealing the unique perspective that his work with computing has lent to his understanding of God. His starting point is the 3:16 project, an application of mathematical "random sampling" to the books of the Bible. The first lectures tell the story of the project's conception and execution, exploring its many dimensions of language translation, aesthetics, and theological history. Along the way, Knuth explains the many insights he gained from such interdisciplinary work. These theological musings culminate in a surprising final lecture tackling the ideas of infinity, free will, and some of the other big questions that lie at the juncture of theology and computation. Reading, MA: Addison Wesley Publishing Company, 1986. 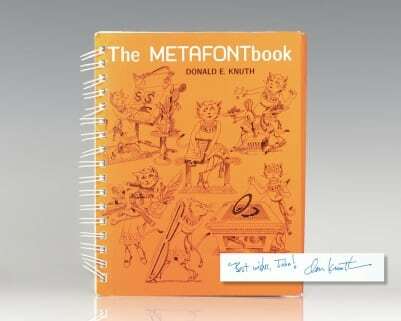 First edition of Knuth’s Metafont book. Octavo, original spiral illustrated wrappers. Inscribed by Donald Knuth on the title page. In near fine condition. Illustrations by Duane Bibby.